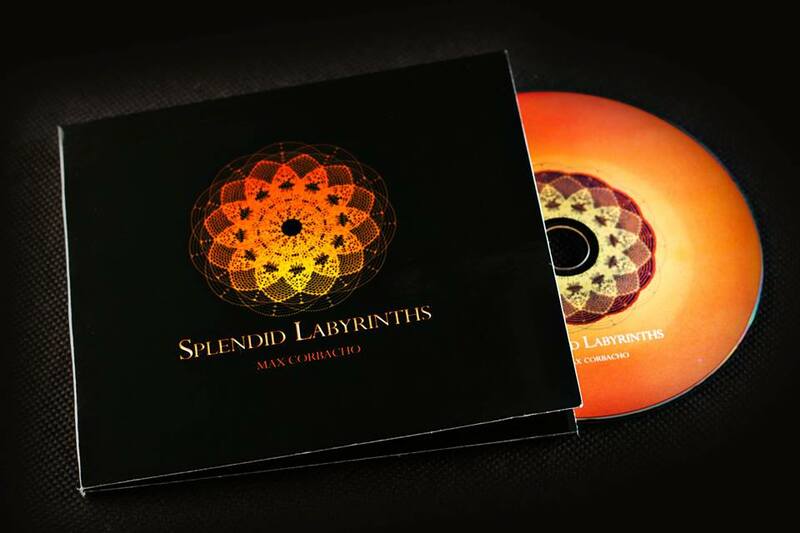 Splendid Labyrinths is in-stock and shipping now!. Thank you very much for the flood of pre-orders! Your direct support is vital for the survival of independent artists. Thanks! To my customers in USA: During this week we have adjusted to the limit the shipping costs, you can check it now. Remember, Splendid Labyrinths is released as CD and digital download through the usual stores (Bandcamp, CDbaby, Amazon, iTunes, etc), and through streaming services. Please note that in some shops, as CDbaby or Amazon the CD may late in arriving few days. "Splendid Labyrinths is an album of ambient immensity and immeasurable time. Max Corbacho's latest release features heaving multi-layered drones that seem to drift in and out of focus and intensity like slow-motion sunlight filtering through gracefully moving storm clouds".
" A powerful journey within as Max takes his luminous soundworlds and tectonic, roaring basses deep down. Ecstatic electronic/ambient music at its best". "Thanks so much for making fantastic space music. People say it is special but yours truly does increase deep reflection and thought." "I listened to the previews. This is such a wonderful music! When I die and drift off to other spheres, then this is the music I want to be listening to... Thank you so much!!!" "The careful listening of the first track blows me. Grandiose."